Peldon Rose. Postcard mailed October 1906. 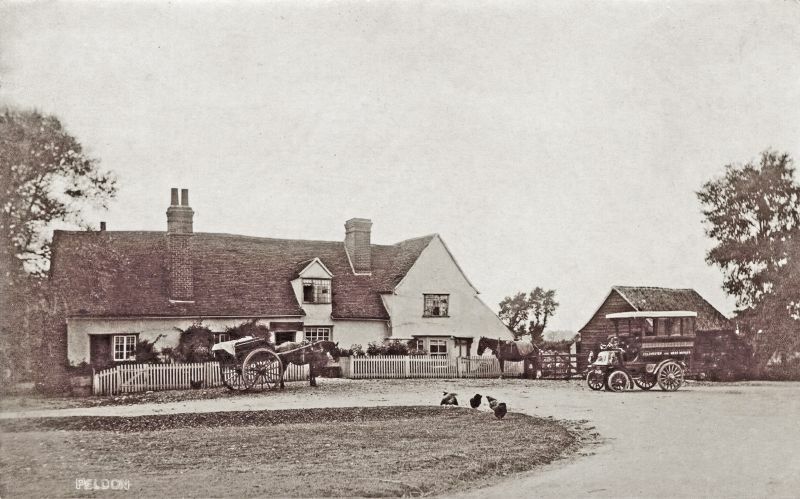 The transition from horse-power to motor-power seems to be the theme in this view pictured outside the Rose Inn, Peldon, during 1905. The vehicle is a 7hp Daimler covered waggonette D439, new in 1903 and later operated by A.W. Berry & Sons between Colchester and West Mersea.